After One Direction took their indefinite hiatus, there was a serious gap in the boy band niche. In the past year, many groups have stepped in to try and fill the need for a bunch of young men harmonizing together on a good pop ballad. New pop startups like Why Don’t We, New Hope Club and CNCO have been assembled by labels to try and capitalize on the audience One Direction left behind. Out of these new groups that have cropped up, my personal favorite, is Prettymuch. The band was formed back in 2016 after an exhaustive talent search by Simon Cowell’s Syco Music and Columbia Records. Since then, the band members have lived together, honed their skills and worked to grow an online following. The band is made up of five members all between the ages of 18 and 20. The lineup consists of Brandon Arreaga, Edwin Honoret, Austion Porter, Nick Mara and Zion Kuwonu. I discovered Prettymuch last fall when I heard their debut single “Would You Mind.” I was immediately drawn in by the barbershop harmonies that open the song, but when the full production kicked I was sold. It was a pop banger reminiscent of the early 2000s and designed to make you dance. 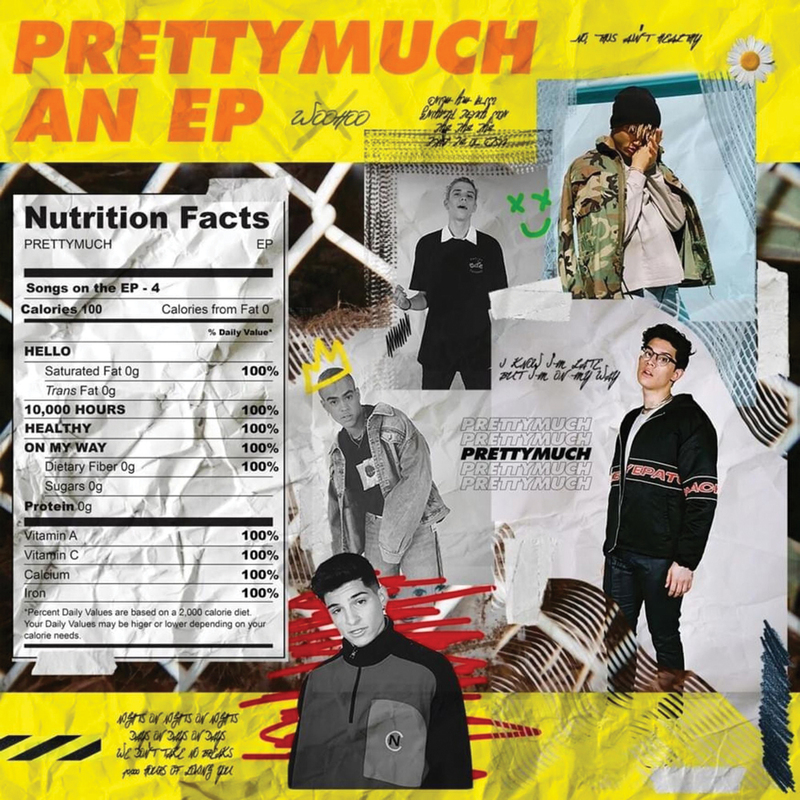 On April 20, the boy band dropped their new debut EP “Prettymuch an EP.” It’s pretty short, only four songs clocking in at about 13 minutes. This is odd since the band had released four other singles which are not included on the EP. Though it’s a good introduction to the band, for fans that have been around for the build up it leaves something to be desired. The sound showcased on the EP is definitely pop focused, but with heavy influences from hip hop and R&B. It’s less of a callback to One Direction than it is to the prevalent ’90s boy bands like The Backstreet Boys and NSYNC. Originally the boys had been working with Max Martin protege Savan Kotecha, but he is not credited on any of the songs on this EP. The first track on the EP is “Hello.” The song is about drifting from the friend-zone back into romantic territory. The chorus has a clever nod to one of NSYNC’s biggest hits “Bye Bye Bye,” and the production has a lot of little details that reveal themselves on further listens. It’s a great opening track. The next track, “10,000 Hours,” was originally released on Valentine’s day. The lyrics are about devoting a large amount of time to loving a girl because she is worth it. The most interesting part of this track is the stuttering drum production. “Healthy” is about when your obsession over someone starts taking over your life. This song really utilizes the harmonic capabilities of a five person group. The chorus melody is rounded out by the boys harmonizing, and it is highlighted twice in the track by the production dropping out from under it. The last track, “On My Way,” is the strongest track on the EP. It’s the perfect balance between unique and familiar The production in this track is more sparse than the other tracks, but it is still tight and methodical. All in all, the EP is an intriguing start. Though after a steady stream of singles a four-song EP is a little anticlimactic, it is a good selection. Though I’m a bigger fan of some of the previous singles, this EP is a cohesive collection that likely represents where the band is headed on their way to a full length album.